With HDS (Hidden Decking System) decking screws are installed in the side of the board, which gives concealed assembly. The timber decking takes on an extra luxurious and clean feel that is difficult to achieve with traditional decking screws. Having no visible screw heads also means that the decking is free from cracks and splinters that can occur when driving in screws. 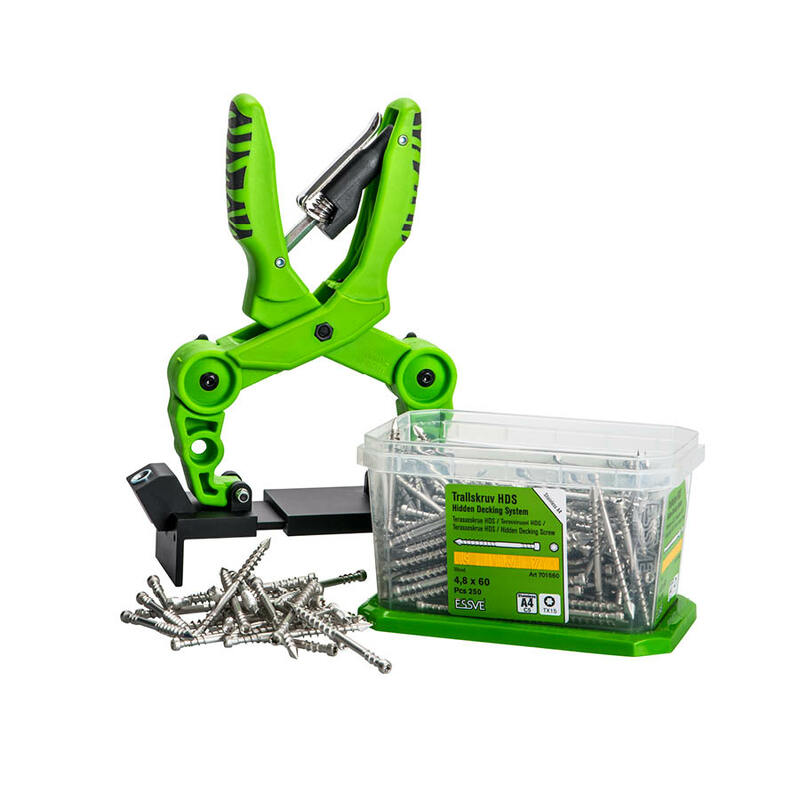 HDS is a complete system consisting of installation tool, decking screws and bits. Grip the plank with the mounting tool. Place a screw into the hole on each end. Angle the screwdriver so that the battery does not bump into the crossboard. Drive the screws in with HDS bits. Always start with the outermost screw.